Rocky bluffs and canyons dot the landscape of the tourist-rich community of Laguna Beach. Laguna Beach is the ideal destination for visiting laid-back cove beaches like Thousand Steps Beach and steep scuba diving locales of Wood’s Cove. Both scuba diving and snorkeling are big draws to Laguna beaches. One of the most popular destinations, Main Beach, offers a variety of beach activities as well as a number of tourist-friendly restaurants and shops. Beyond the beach, the city is home to more than 20,000 acres of protected wilderness, making it a great location for exploration. From world-renowned mountain biking trails for all levels, hundreds of miles of hiking, dramatic vistas, verdant hills and marine sanctuaries, there’s no limit of new places to discover during a visit to Laguna Beach. Pack your flip flops and surfboard or hiking shoes and water bottles, and visit Laguna Beach. Continue reading our Laguna Beach travel guide. 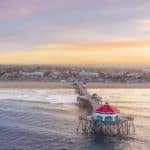 You can also visit the best southern California beaches here. Stretching along the bluffs on Cliff Drive from Aster Street to Diver’s Cove, this oceanfront park has walking trails, gardens, a marine refuge with tide pools, picnic tables, barbecues, lawn bowling greens. Popular park wedding sites include a Gazebo and Monument Point. Restrooms also available. 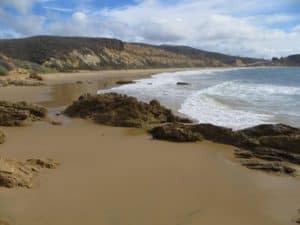 Crystal Cove State Park’s rolling surf, sandy beaches, tidepools, gently sloping hills, and deeply wooded canyons and ridges provide a delightful contrast to its urban surroundings. 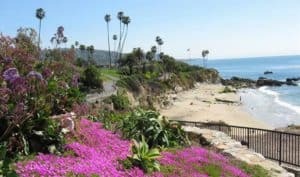 Located off busy Pacific Coast Highway between Corona del Mar and Laguna Beach, Crystal Cove is one of Orange County’s largest remaining examples of open space and natural seashore. Thousand Steps Beach is one of the largest beaches in South Laguna Beach, CA. It’s a wide sandy beach with volleyball courts, restrooms, and tide pools and caves to discover. There is a large cave at the south end of Thousand Steps Beach that you can enter when the tide is out and the entrance is exposed. Located on the Festival of Arts grounds is one of the most unique theatrical productions in the world, the Pageant of the Masters. Watch real people be magically transformed into life-sized re-creations of famous works of art. 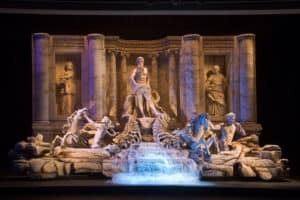 A live narrator guides you through the story of each living picture accompanied by a full orchestra. Shows are nightly. There is nothing like it anywhere… only in Laguna Beach. Get your tickets to Pageant of the Masters here. The park offers a boardwalk, basketball courts, sand volleyball courts, a play area for children, and a wide sandy beach for laying out on. Lifeguards look on from a tower near the middle of the beach. This oceanfront property is just the place for an idyllic weekend escape. Vinyl record players replace television sets, and a private beach paired with access to the Adventure Garage—home to surfboards, hiking and diving gear, beach toys, and more—encourages guests to unplug during their time in Laguna. For more information, pricing, or to reserve your room visit the Hotel Joaquin. 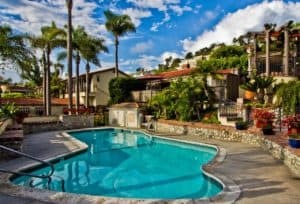 Offering an outdoor pool and a spa and wellness center, Casa Laguna Hotel & Spa is located in Laguna Beach. Free WiFi access is available. A free continental breakfast is included with each room. At Casa Laguna Hotel & Spa you will find a 24-hour reception and a garden. Other facilities offered at the property include laundry facilities. For more information, pricing, or to reserve your room visit Casa Laguna Hotel & Spa. Perched on a coastal bluff above the Pacific, Montage Laguna Beach welcomes guests into the heart of Southern California’s preeminent artist colony. 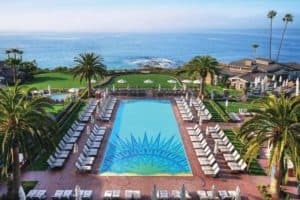 Spanning 30 acres, the beachfront sanctuary features two outdoor pool decks, a 20,000-square-foot spa and three signature restaurants with spectacular views of the California coast. For more information, pricing, or to reserve your room visit the Montage Laguna Beach. Nestled in the majestic Aliso and Wood Canyons, right in the heart of Orange County, resides The Ranch at Laguna Beach resort. This Orange County hotel and spa is situated on an iconic piece of land where canyon and sea meet. The Ranch LB has been re-envisioned as the home of Southern California’s newest hotel and spa. Welcome to this distinctly local resort and California’s only National Geographic Unique Lodge of the World. For more information, pricing, or to reserve your room visit The Ranch at Laguna Beach. Chic coastal décor and vintage furniture create the look and feel of an open, airy beach cottage with a palette of natural, warm colors with vibrant pops. Our convenient location is within a short walking distance to Main Beach and downtown Laguna Beach. 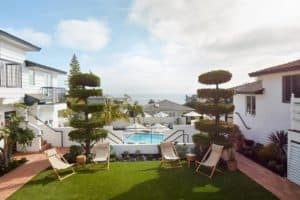 Personalized service and attention to detail provide for the ultimate Laguna Beach Resort getaway, perfect for anyone from solo travelers to families. Enjoy a complimentary nightly wine hour at sunset to cookies and milk before bedtime. For more information, pricing, or to reserve your room visit the Laguna Beach House. Wow, this is a wonderful travel guide on Laguna Beach. I have been visiting your site for quite some time now. Me and my wife have been thinking about heading to a nice beach destination. We have always wanted to visit California. Laguna Beach looks wonderful and a great spot for us to spend time relaxing. I like the selection of hotels. I will have my wife take a look to decide where we want to stay. Thank you! You are very welcome. Please let me know how your vacation goes and where you decided to stay. Thanks for visiting my Laguna Beach travel guide. Wow,this is a wonderful presentation. I am already carried away with this your vacation packages. I and my wife have thinking where to spend the last vacation and with what you have just presented are mind blowing. All the packages are so wonderful that I don’t know the one to choose for my family vacation. They all have a great features in their packages. Please will you help me to make a good selection for my family vacation very urgent please? Hi there, glad you enjoyed. If you can email me your dates and what your price range is, I would be glad to put an itinerary together for you. I look forward to hearing from you and thanks for stopping by! I have been to Laguna beach before but for a shorter period of time. Couldn’t explore the place to it’s core. The details you have mentioned here is very helpful. Now I know what all adventures I can do. I’m gonna try the surf lessons. Being an amateur surfers, I’m sure the surf lessons will be fun. 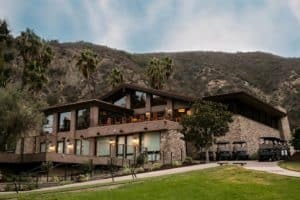 The Ranch at Laguna Beach appears to be a nice place to spend some time! Great Demi, glad you enjoyed my Laguna Beach Travel Guide. Thanks for stopping by! What an comprehensive guide to this beautiful location of Lauuna Beach. 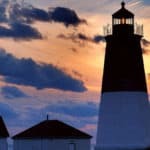 I loved the video and the information of what is available outside the location, such as 20,000 acres of protected wilderness and the world-renowned mountain biking trails for all levels, plus marine sanctuaries. These would definetely be of interest to me. The “What Should You Pack ” section is well put together and I congratulate you. I also liked “Things to do in Laguna Beach “, especially “Temecula Wine Country Tasting” as I do like my wine. The list of Restaurants is also a great help to families, especially the listed price ranges. Thank you so much Dave! I am glad you enjoyed my Laguna Beach Travel Guide. This is another wonderful travel guide from you. I have read some wonderful guides from you in the past and this is not an exception. This is another great destination to go to. My wife and I will be celebrating our 4 years of marriage and this would be a beautiful place to celebrate. What do you think? All the hotels look great, choosing one is now a big deal, Which one would you recommend? Not minding the price of course. More importantly the packing list is very well put together! Thank you Jay, I am glad you enjoyed! I would recommend staying at the Hotel Joaquin. It is luxurious and romantic. You will have a wonderful stay. Please let me know if you need any additional information. 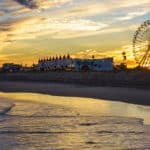 If I ever get the chance to travel to the USA again, I’ll definitely be heading to this website first in order to find great places to visit, accommodation and things to do. All the information I require about making plans for a holiday are right here. I would definitely be visiting the vineyards in the area. I really loved your review on Laguna Beach. My wife and I love beaches and would love to see California. This looks just like the perfect area for us. The list of hotels is great, now we just have to decide. Definitely going to head to 1000 Steps beach. That looks awesome. Thank you Brent and thank you for stopping by beach travel destinations. It has always been my dream to visit California. We are finally ready to start planning our trip. So finding your website and all of the great information is perfect timing for us. Laguna Beach looks like a great California beach town! It is perfect for us with all the things to see and do. Glad you put this together, very informative. Great! I am glad I could help with your planning. Thanks for stopping by. Thank you for a full packaged infomative article! I feel like I got everything I need to prepare for the visit and won’t have to research for anything else. I live fairly close to Laguna Beach but did’t know there are so many things you can do there. I can probably make it a long weeken vacation there. And big thanks for mentioining that restrooms are available at the park because the information is hard to find sometimes. Yes sometimes you can’t always find everything you need. I am glad I provided you with it for your trip to Laguna Beach. Thanks for visiting my Laguna Beach Travel Guide. You make Laguna Beach sound like paradise, with so much to offer and so much to do. It would make an ideal holiday location for many people. It is a place I must visit and I thank you for this review. How long would you expect to spend at the beach, to have a decent holiday and see all the sights? Hi Antonio, I would spend at least two weeks to allow for some beach time and time to see all the sights. This will also allow for your travel time there and back. Please let me know if you have any other questions. Wow! What a beautiful and interesting holiday beach travel destination it is. 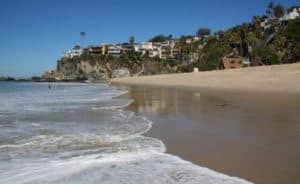 From your elaborate description and images, I can say that I love every bit of it and my self and family will definitely give it a try this summer… Thank you so much for doing a great research and bringing this amazing Laguna Beach Travel Guide my way! Glad you enjoyed David, thanks for visiting beach travel destinations. We are planning a family reunion and have been thinking about California. Laguna Beach sounds like the perfect place. 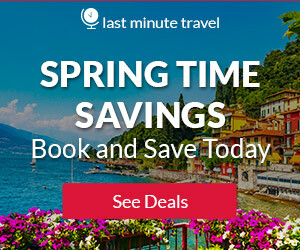 The weather is definitely ideal for the time of year we would like to go. I will recommend this to my family and we will decide on a hotel from your recommended options. Thanks for the great ideas and helping us plan. Great location for a family reunion for sure! Please let me know if you need any additional information. I would be glad to help. 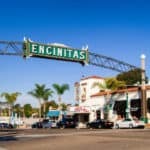 It was a pleasure reading your article on Laguna Beach and giving a detailed guide to the world famous vacation location. Your is so detailed that I don’t need to look any further for supporting information on the vacation spot. You pulled all the stops to educate us on the place. That’s applauded, thanks for the effort you put into the article. Thank you Peace for stopping by and visiting my Laguna Beach travel guide. You are very welcome Alex, thanks for visiting beach travel destinations. I’ve really enjoyed reading this article as you’ve provided us with lots of valuable information. I have been thinking of visiting africa during my next summer holiday but i am highly intrigued by your review and i think the perfect fit for my next holiday would be Laguna beach California. Thanks for the guide, I will surely be planning my vacation to this wonderful beach town! Great Tracy! I think you will love it in Laguna Beach. I can say that it should be a lot easier on the pocketbook than a vacation to Africa! 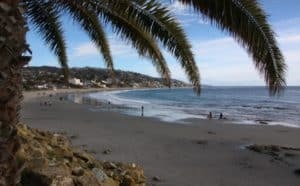 Thanks for stopping by my Laguna Beach Travel Guide. Wow, another great destination to go to. My husband and I will be soon celebrating our 20 years of marriage and this would be a beautiful present. Don’t you think so? Thank you for the packing list! Yes, this would be a wonderful present Daniella! I would take him to the Hotel Joaquin, hands down 🙂 And you are very welcome!